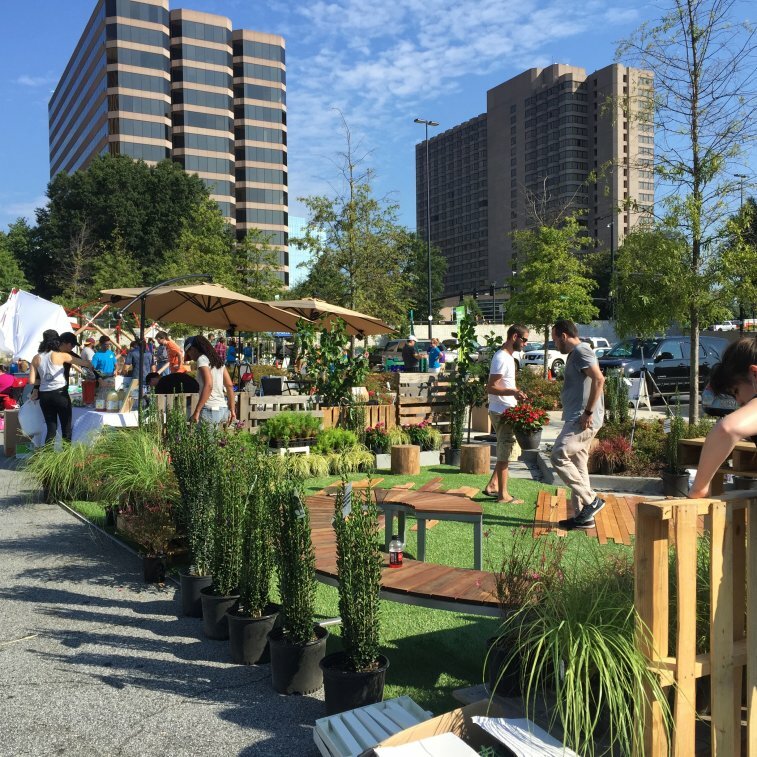 Last week, CCCA and HGOR formed a team to participate in (PARK)ing Day, and transformed parking spaces of Lenox Square Mall into a temporary park. The event is an annual effort where designers, citizens, artists and activists convert parking spaces around the world into public, active environments. The ultimate goal is to focus attention on the need for more open, green space throughout urban areas. 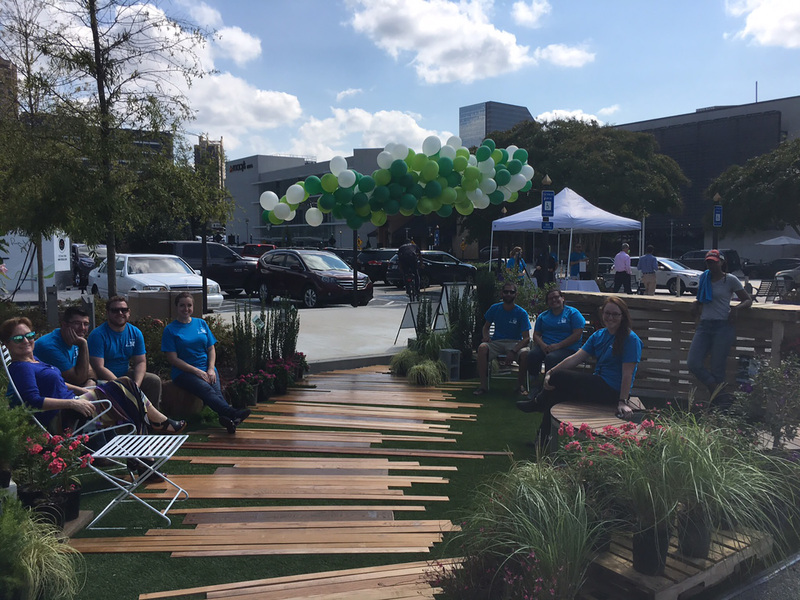 The team’s “micro-park” incorporated artificial turf with reclaimed wood flooring, providing a base for a relaxing, welcoming green atmosphere. Outdoor inflatable lounges, a standing bench made out of wooden palettes, a circular bench and tree stump seating offered comfortable places for passersby to enjoy the beautiful weather. Balloons were gathered underneath netting to provide a canopy. Thanks to the Atlanta community for voting our space the ‘Most Popular Park’ and ‘Most Creative’ space!